Denise Lombardo (Denise M Fiorito, Denise Belfort), born 1963 was Jordan Belfort’s first wife. Denise Lombardo and the future “wolf of the Wall Street” (born 1962) tied the knot in 1985, back when he was just trying to succeed in the stock market business. Denise and Jordan divorced in 1991; by that time, he had started dating Nadine Caridi, who would become his second wife later that year, after the divorce with Denise was finalised. Belfort and Caridi had two children together and got divorced in 2005. Belfort’s current partner is Anne Koppe. Denise and Jordan got married in 1985; both were in their early twenties. In the mid 80’s, Jordan Belfort’s first wife and the future “Wolf of the Wall Street” lived in a modest apartment in the Bay Club in Bayside, Queens. The bus commute to the city was quite long. Denise Lombardo’s husband worked in finance – he was a stockbroker for L.F. Rothschild. Belfort frequented the gym in their apartment building, and was very much in love with his wife. He was also obsessed with the idea of making big bucks. Denise Belfort’s husband started his own business called Stratton Oakmont based in Lake Success, LI. Success followed soon after, and the family could afford expensive cars, private planes, beach houses, trips to private islands, fancy jewellery, limos, regal yachts, bodyguards and hotel bills in hundreds of thousands dollars. Denise Lombardo’s spouse could have been making tens of millions a year, most of which was stashed overseas. In the early 90’s, Jordan bought a 170-foot yacht, but by then, Denise was out of the picture. It was his new wife, Nadine Caridi (the two got married in the Caribbean. In 1991) that would sail with him. In 1995, Jordan and his partner and best friend Danny Porush were investigated by Nasdaq. Some of their investors had filed lawsuits. Turned out that their firm, Stratton was a “pump and dump” fraud — a stock’s market price was artificially inflated and it promptly sold off. Investors were being ripped off (total investor losses amounted to about US$200 million), while Denise Belfort’s ex and his company were raking in huge amounts of money. In 1997, Belfort was busted by the FBI and going to jail. He got out on $10 million bail, but later had to serve 22 months at the Taft Correctional Institution in California and had to pay back $110.4 million that had been swindled from stock buyers. In 1999, he pleaded guilty to fraud, stock-market manipulation, running a boiler room and penny-stock scam. Denise M Belfort (Denise M Fiorito) was born in 1963, in New York. She is 53 years old, and her ex-husband is 54 years old in 2017. Denise has lived in 2 States: FL and NY. Denise Fiorito has attended 2 schools: Adelphi University, New York (1980 – 1984; English Literature) and Fashion Institute of Technology, New York (Buying & Mdse). Denise has worked at several different placed, including Ed Klopfer (she was still a student). Now Denise Lombardo works in apparel and fashion – at Laurevan shoes. She is a South East sales representative in Naples, Florida Area. Denise’s net worth is unknown, and we couldn’t find any information on her divorce settlement. Denise Belfort pictures depict a gorgeous blonde with a lovely smile and expressive eyes. Denise Fiorito Belfort is played by actress Cristin Milioti, and is named Teresa Petrillo in The Wolf of Wall Street movie. 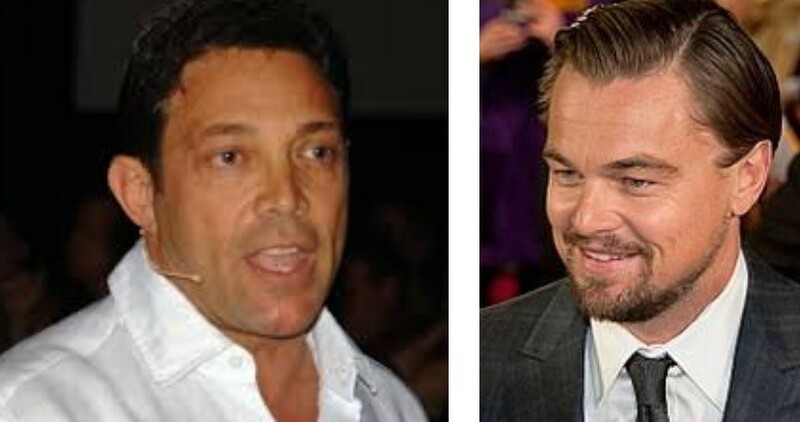 Her husband, Jordan Belfort is played by Leonardo DiCaprio. His second wife, Nadine Caridi Belfort is played by Margot Robbie and named Naomi Lapaglia in the movie. Belfort’s fellow entrepreneur and stock broker Daniel Mark Porush is played by Jonah Hill and is named Donnie Azoff. Jordan Ross Belfort is a former stockbroker, presently an author, motivational speaker, screenwriter and film producer. Jordan was born in 1962 in The Bronx, New York City, to Leah Belfort and Max Belfort. He received his education at the American University. Jordan had no children with his first wife Denise Belfort. He has two children from his second wife Nadine (born in 1962 in London) – a son Carter Belfort and a daughter Chandler Belfort. If Denise reads this I recall being her former cousin when I was married to her 1st cousin Michael Fiorito in the 80s and attending her marriage to Jordan Belfort and always thought he was too flashy however it seemed Denise and Jordan loved one another. Unfortunately he loved greed more as did my ex. Lol I always thought Denise to be much prettier, kind hearted and fun than the actress who portrayed her in the Wolf of Wall St… ironically I understand she has gone to Naples Florida where my second husband are moving in a couple of months…. I wish Denise all the best and know she is stronger than anyone knew! I’m glad she got rid of that pig Jordan Belfort and hope she is happy as hell! She deserves it!